The Pinnacle at City Park has an ideal location in Denver. 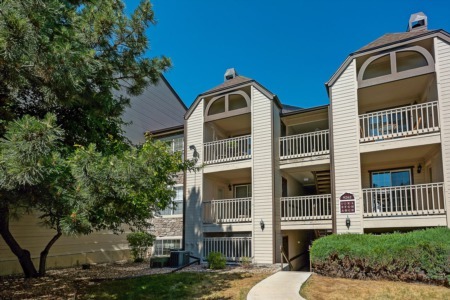 These luxury condos border City Park and sit conveniently near downtown Denver and Cherry Creek. Pinnacle's two high end towers opened in 2007 and have been selling fast. They offer the best in urban living with the peace and quiet of City Park. Residents have the best of both worlds and is the ultimate living experience. The building itself was designed in a way to maintain the historical nature of the surrounding neighborhood. The residences have a variety of floor plans, but they all offer high ceilings and lots of natural light. Floors are natural stone and hardwood. Most units have a balcony, but if not there is a rooftop deck for all residents to take in the expansive views of the mountains. Amenities include state of the art fitness center, hot tub, sauna, 7th floor garden terrace, swimming pool, wine cellar and private theater. With a Walk Score of 86 out of 100, you will find it easy to get to restaurants, shopping and other entertainment venues.